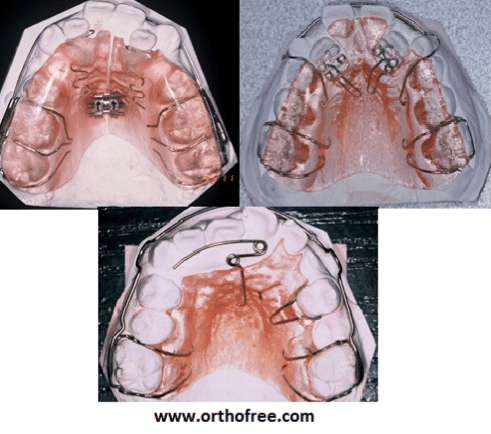 In this article by Orthofree.com, They Explain about anterior crossbite, its prevalence, etiological factors, management, treatment and some case reports. An abnormal relationship of a tooth or teeth to the opposing teeth, in which normal buccolingual or labiolingual relationships are reversed. The incidence in caucasieans ranges between 2% and 4%. 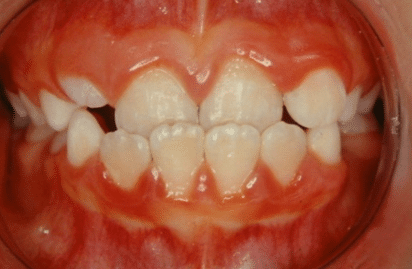 Multi-tooth anterior crossbite may result from a functional shift of the mandible in an effort to avoid anterior interference in centric relation and to achieve maximum inter-cuspation. Can be controlled during growth by growth modification appliances, such as: Protracion face masks. Arvystas MG. 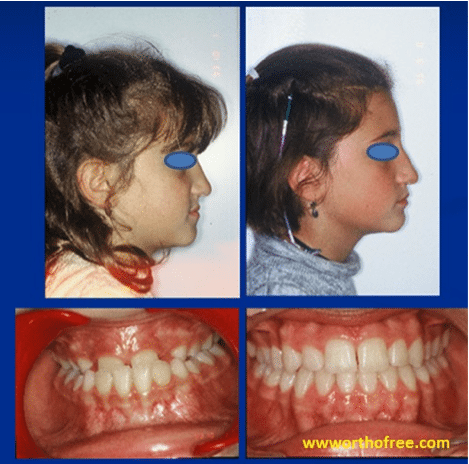 The rationale for early orthodontic treatment. Am J Orthod Dentofacial Orthop 1998:133:15-8. Adams P. The design, construction and use of removable orthodontic appliances. 5th ed. Bristol; 1984. p.111-2. Graber TM, Neuman B. Removable orthodontic appliances. 2nd ed. Saunders; 1984. p. 57-9. Patti A, Perier G. Preface. 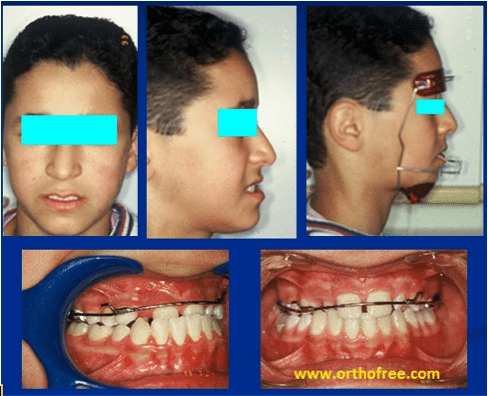 In: Clinical success in early orthodontic treatment. Quintessence; 2005. p. 8. Sztele R. Herstellung Kieferorthop.disher apparate. Berlin; 1960. S. 53. Taatz H. Kieferorthop.dische Prophylaxe und Frühbehandlung. I. Jirgensone et al. CLINICAL CASE München,Wien: Hanser; 1976. p. 238-9. Vadiakas G, Viazis AD. Anterior crossbite correction in the early deciduous dention. Am J Orthod Dentofacial Orthop 1992;102:160-2. Zachrisson B, Thilander B. Treatment of Dento-alveolar anomalies. In: Introduction to orthodontics. Stockholm; 1994. p. 146-182. Tausche E, Luck O, Harzer W. Prevalence of malocclusions in the early mixed dentition and orthodontic treatment need. Eur J Orthod 2004;26:237-44. Kiyak AH. Patients’ and parents’ expectations from early treatment. Am J Orthod Dentofacial Orthop 2006;129:S50-54. Ngan P. Biomechanics of maxillary expansion and protraction in Class III patients. Am J Orthod Dentofacial Orthop 2002;121:58283. Dugoni S, Aubert M, Baumrind S. Differential diagnosis and treatment planning for early mixed dentition malocclusions. Am J Orthod Dentofacial Orthop 2006; 129:S80-1. Dr Oussama SANDID Orthodontist (D.C.D-DUO -CES.ODF Ex-charge de cours. CECSMO Paris, France) and founder of OrthoFree: The Orthodontists Online Community. A dedicated Orthodontic website created in 2006. A Dental Community with over 200 authors and over 10000 articles posted for Communication and information in orthodontics specially designed for Continuing education online.